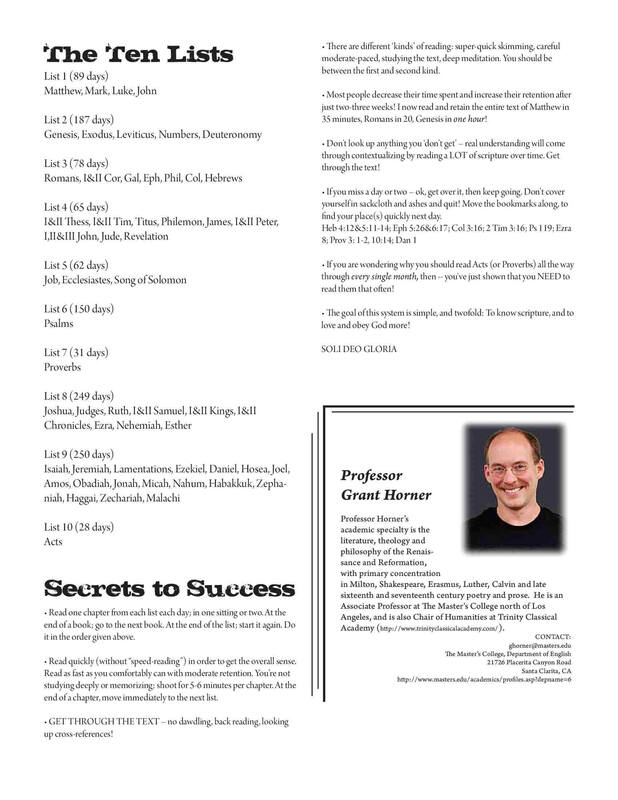 Grant Horner’s Bible Reading System is the most ambitious plan I’ve come across. Grant is a professor at John MacArthur’s Master’s College and Seminary. It’s an ambitious plan with a goal of reading 10 chapters per day (which I don’t always accomplish), but I enjoy the way it continually moves me through various parts of the O.T. and N.T. 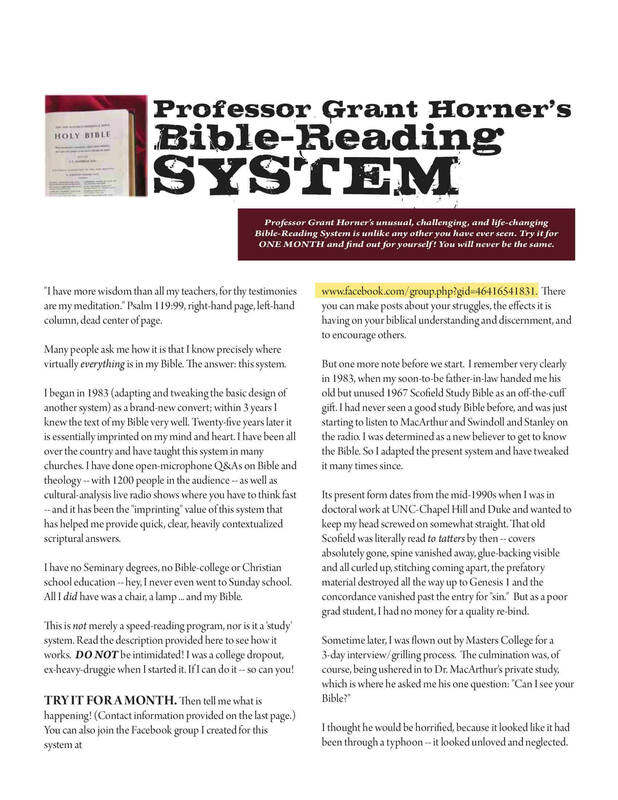 The description of it is posted below, or you can download it here: Grant Horner’s Bible-Reading System. I like to use paper bookmarks (printed on cardstock) to keep track of my reading in my Bible. 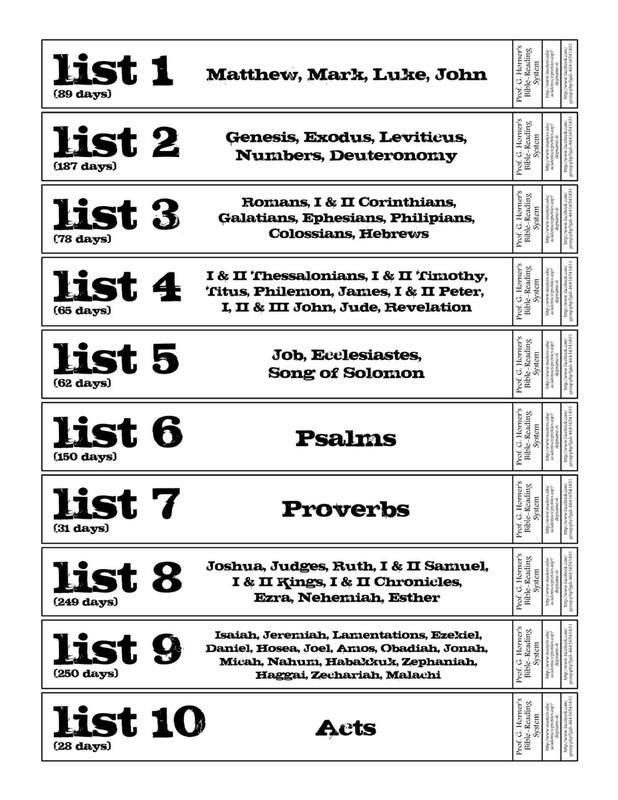 Here are the bookmarks I use: Horner’s Bible Reading Plan Bookmarks. 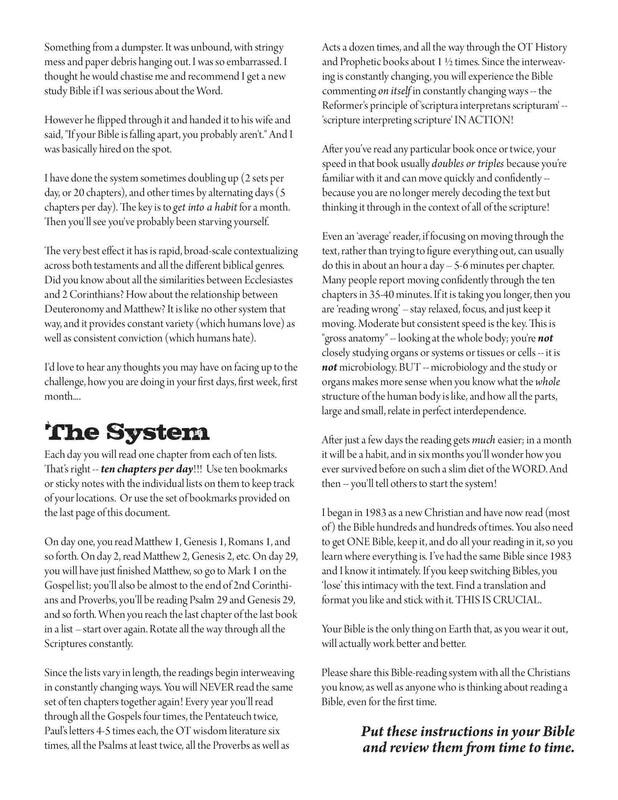 You also might want to check out the Facebook Community Page established for people who are using this Bible-reading system.